The Business Book Club presented by CCI and Boffins Books is an event series dedicated to bringing talented authors and their books to the WA business community. Join us for a light breakfast and the opportunity to meet exceptionally talented authors and leaders as they give insights and information that can be applied to your own workplace. Jamila is the former Editor-in-Chief of the Mamamia Women’s Network websites. Prior to entering the media, Jamila worked in politics for former Prime Minister Kevin Rudd and Minister Kate Ellis. In 2014 she was named one of Cosmopolitan’s 30 Most Successful Women Under 30, in 2015, she was listed as one of Australia’s 100 Women of Influence by the Australian Financial Review and in 2017 was named one of Melbourne’s Most Influential Women Under 40 by The Weekly Review. Australian women are suffering from a crisis of confidence at work; captives of an inner voice that warns them they’re not good enough. Accustomed to being overlooked and undervalued, when women do get to the top they explain their success away as ‘luck’. But it’s not. 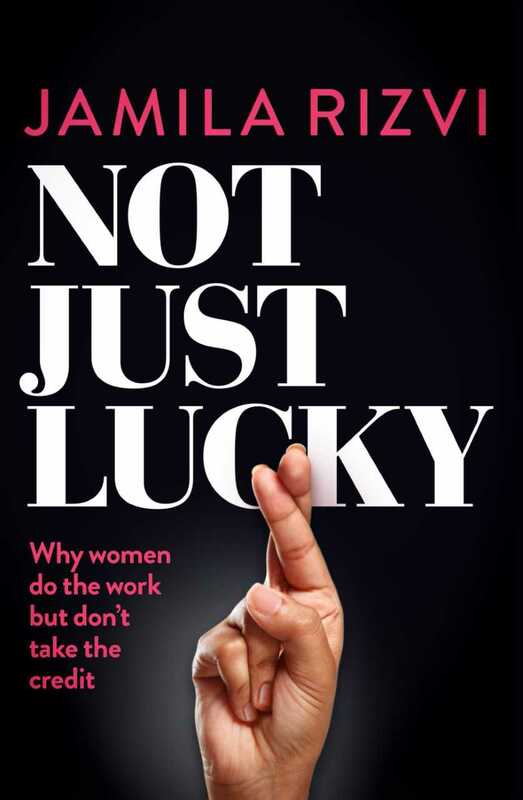 Not Just Lucky exposes the secret shame of Australian workplaces: That offices, factories, shops and worksites remain gendered, unfair and unequal. Drawing on case studies, extensive research and her own experience in media and politics Jamila Rizvi makes a compelling case for the existence of systemic disadvantage that robs women of their confidence, often without them even realising it. Jamila is the warm, witty and wise girlfriend that the next generation of Australian women leaders have been waiting for. Not Just Lucky will give women everything they need to ditch the doubt and fight for success. And, once they’ve well and truly kicked the insecurity habit, Jamila will show women how to use their courage and success to lift other women up, to start fighting for equality at work for all. Jamila will be available to sign books after breakfast.